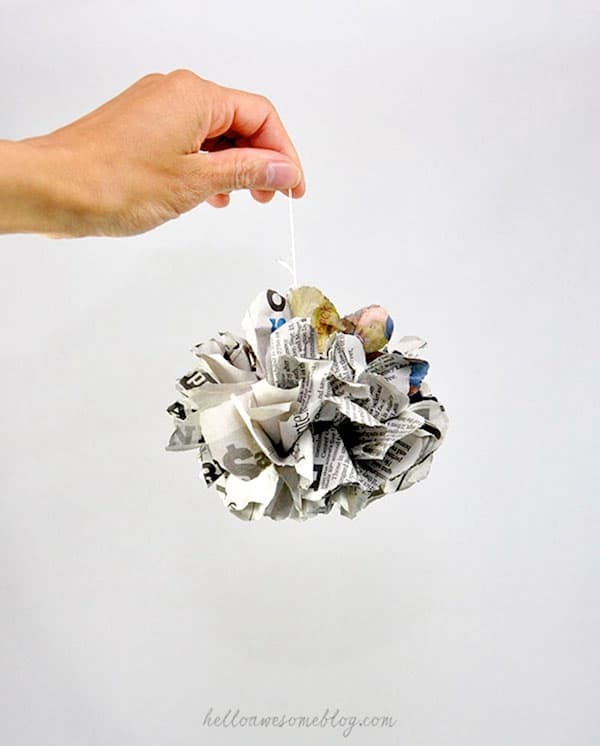 This newspaper craft is so easy and budget friendly – make poms that would be perfect for parties or in your home decorating! Hey guys! 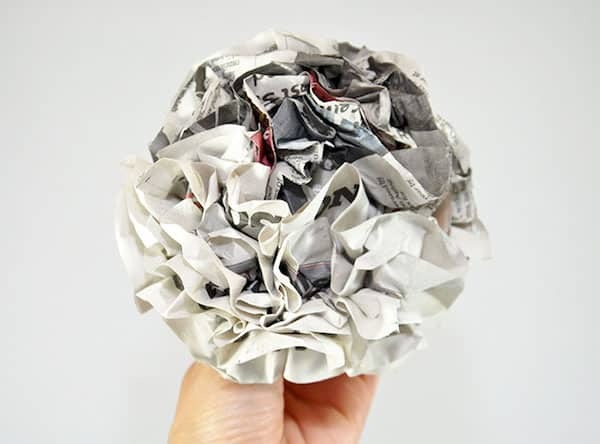 I’m Jacy from Hello Awesome and I’m sharing with you a super easy newspaper craft that anyone can do with items you already have at home. Sounds amazing right? 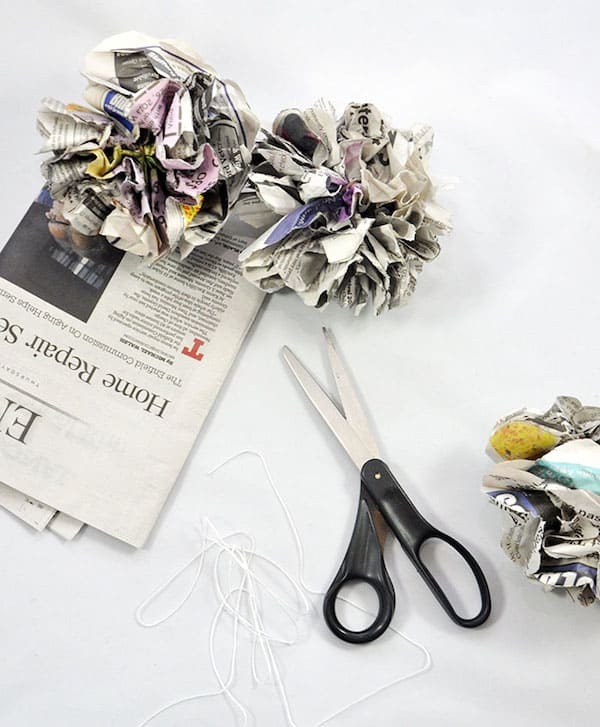 In just a few steps, you can create cute newspaper poms to decorate a party, home office or bedroom. 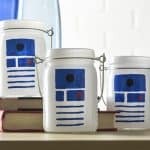 It will only take as much time as it takes for you to drink your morning coffee, promise! 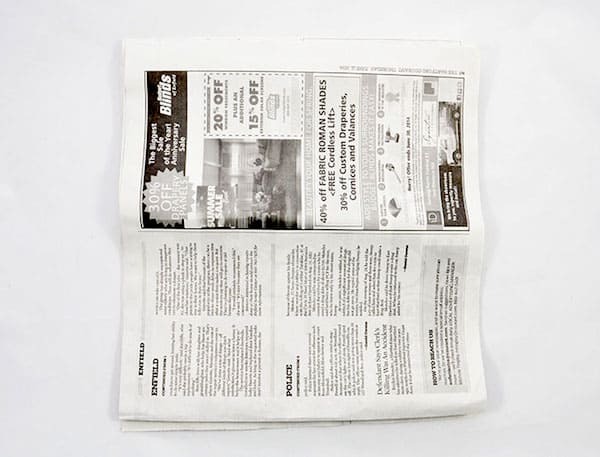 Lay the sheets of newspaper down on top of one another. Make sure they are flat. 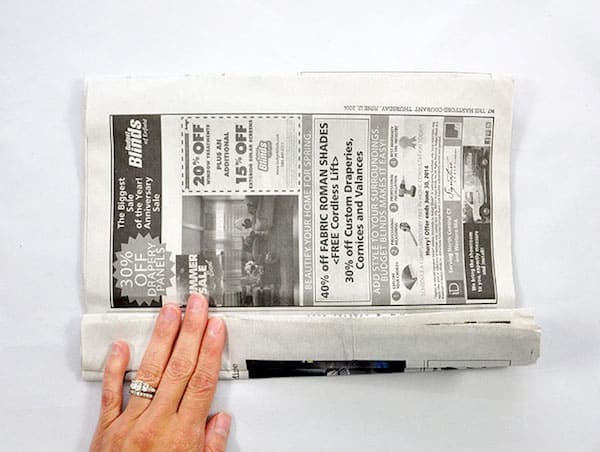 Starting from the bottom, fold over the newspaper about an inch. 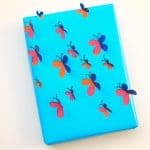 Continue folding front to back as if you were creating a paper fan. 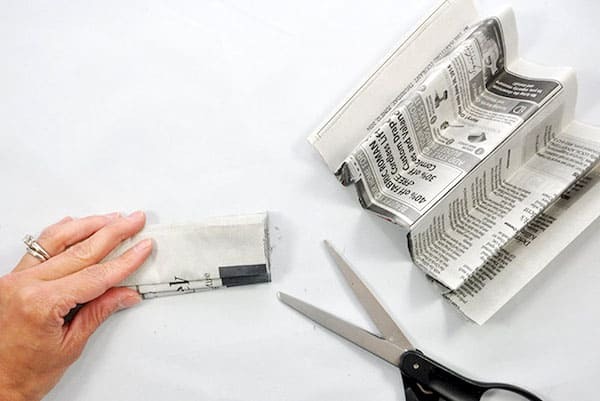 Using the scissors, cut the folded newspaper in half. 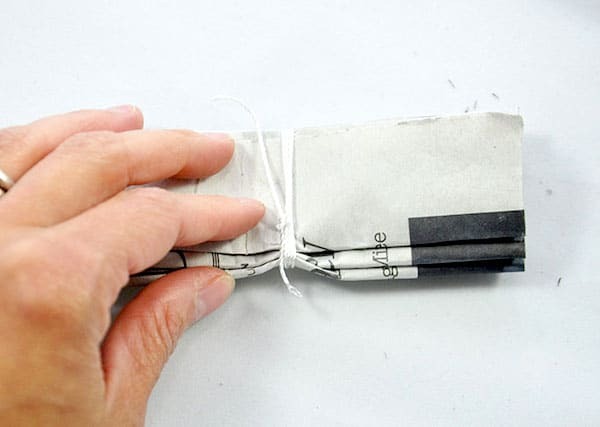 Tie a piece of string around the center of the folded piece of newspaper you just cut. Secure with a knot. 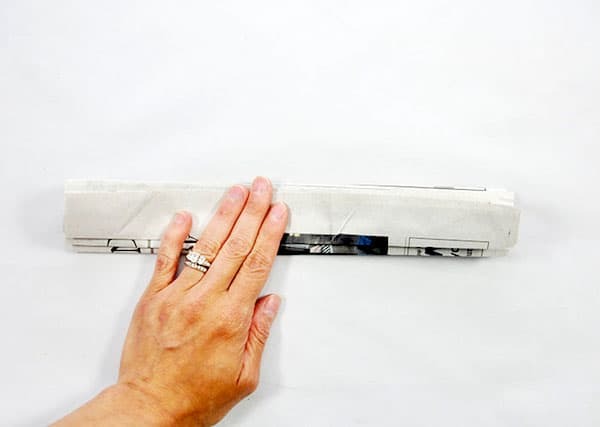 Holding the folded newspaper in one hand, gently peel away the outer newspaper layers. Separate each newspaper layer from the other. 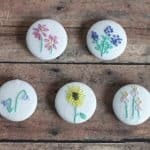 This will create a floral effect. 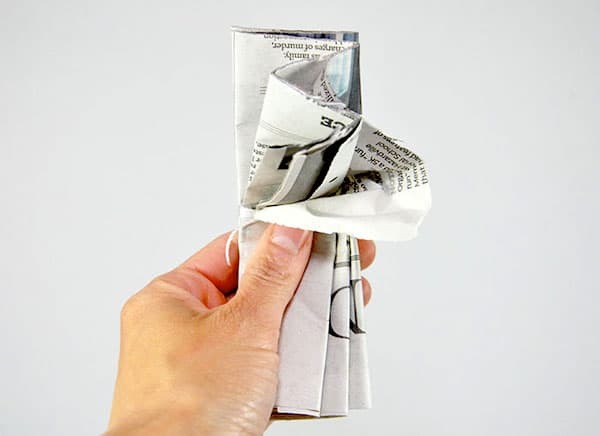 Hold the center of the folded newspaper and repeat the effect on the other side. 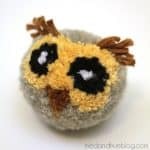 Continue to separate the layers until you see the shape of the pom you like. This step may take some time as you pull and crunch the newspaper to the form you’re looking for. That’s it! 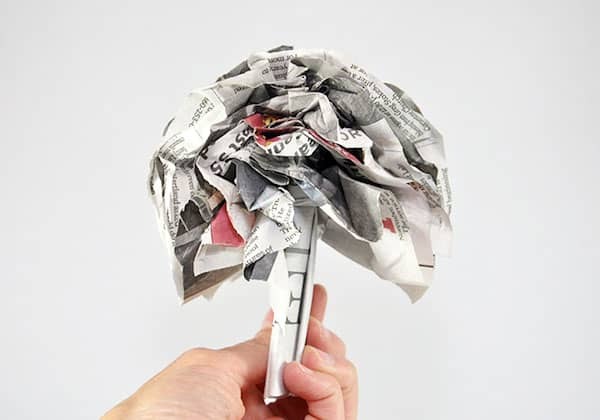 Newspaper poms can make great vase fillers or attach a longer piece of string to the center for a pretty hanging decoration. 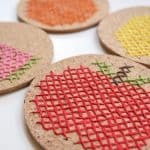 These are really addicting to make and would be an awesome summer project if you have kiddos. I’d love to get to know you! Blogger, shop owner, designer, writer . . . feel free to check me out here: shop, Instagram or Twitter. One could use aged book pages, or sheet music, or colored newspaper ads. I like this.